You might think I wrote a typo for crop insurance, but no. 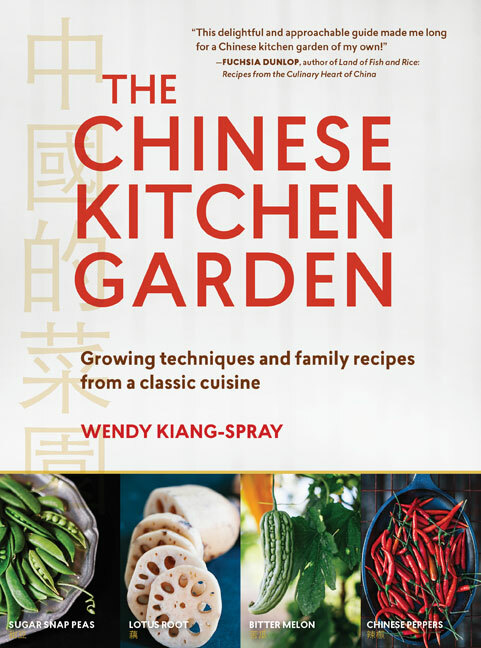 There are some reliable vegetable crops that grow without much attention and quietly wait until needed. 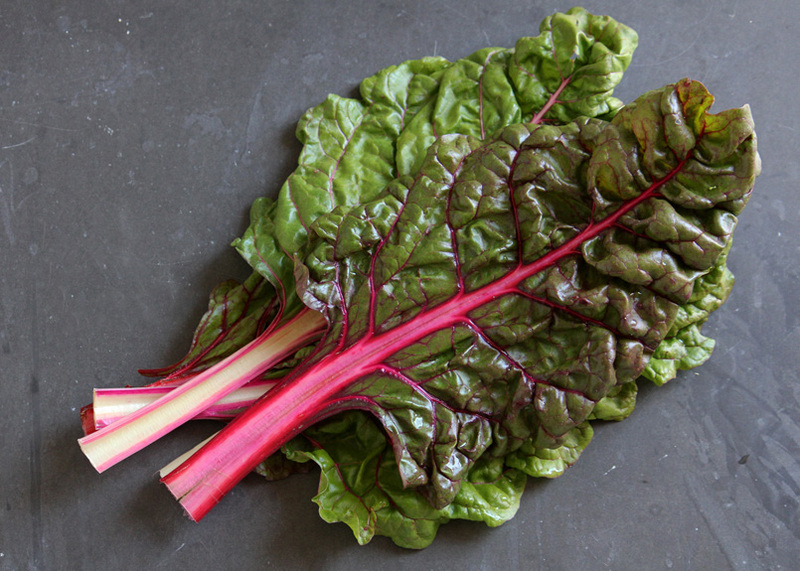 Chard is one of those. 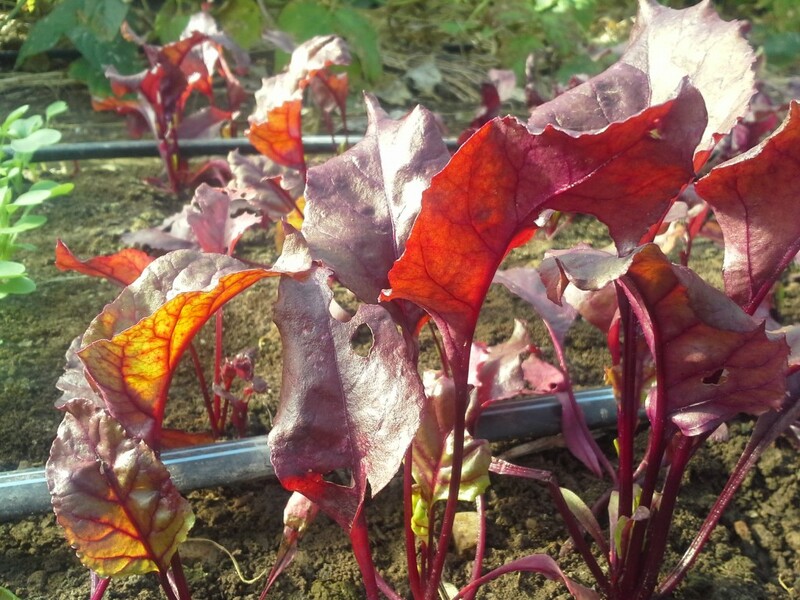 We sow chard in April, after the early spring rush. 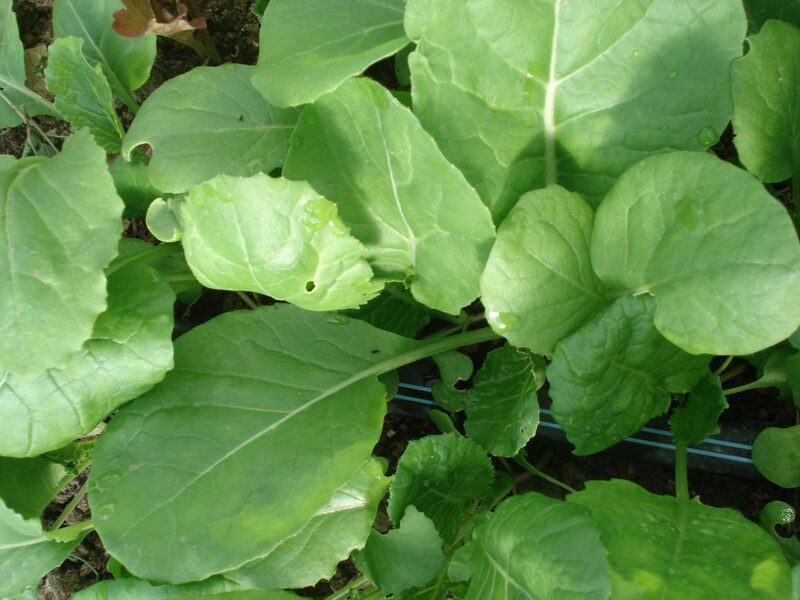 We plan for it to provide us with leafy greens in the summer, after the brassicas have bolted. 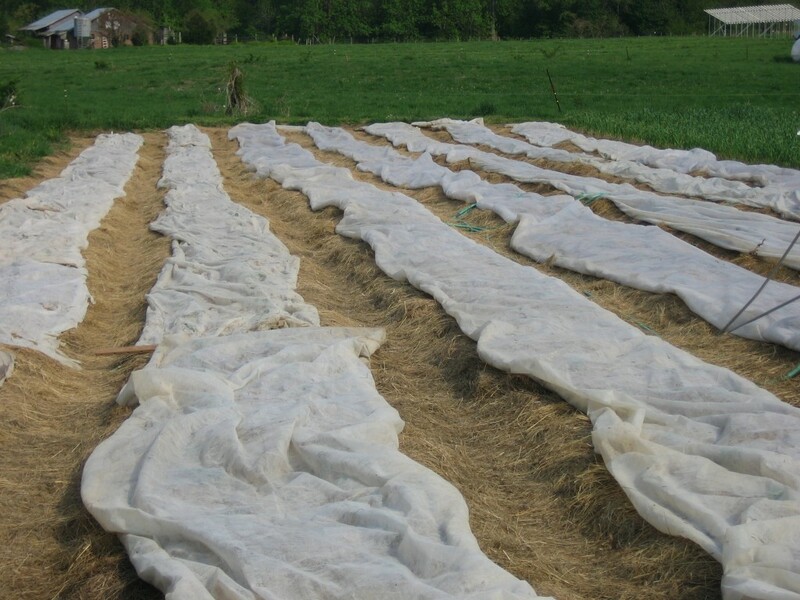 We prepare a bed, unroll hay mulch over it, then make “nests” in the hay for planting. Nests are holes in the hay down to soil level, at each spot where we want to plant. 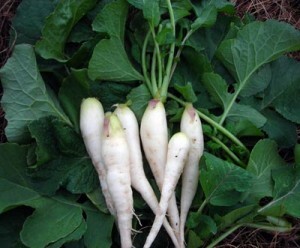 After transplanting. we water and tuck the hay tight around the plants to keep the weeds at bay. 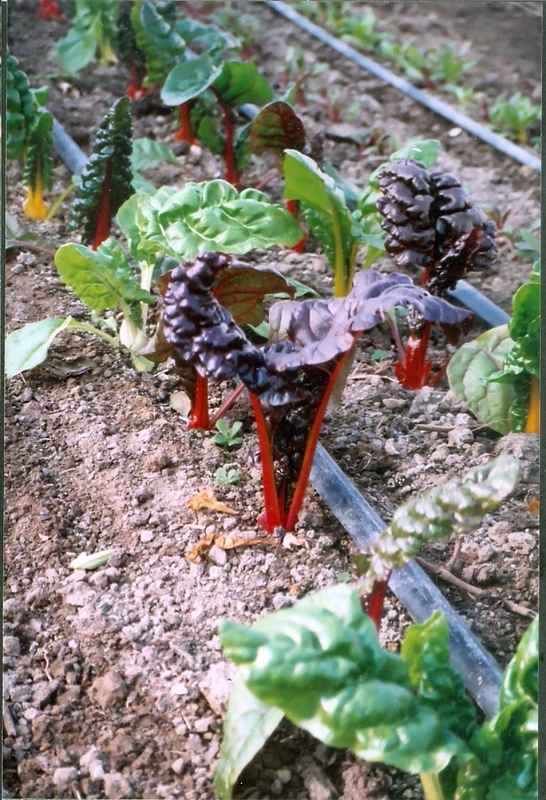 Some years there isn’t much demand for chard and we just leave it growing. If we need it, there it is with a generous supply of leaves. If we ignore it, nothing goes wrong. 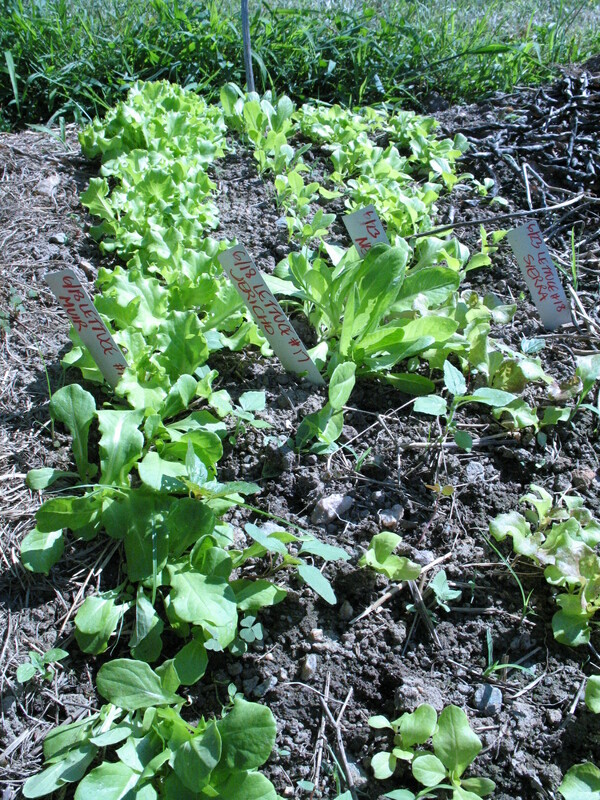 It’s worth having some crops like this in the garden, to help ensure there’s always something to eat. 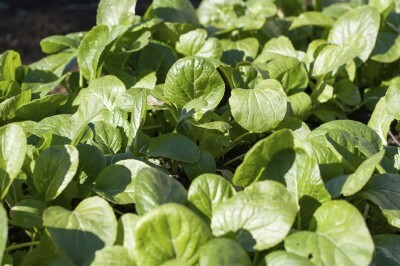 This year we grew Malabar spinach and it played a similar role: hot weather leafy cooking greens. 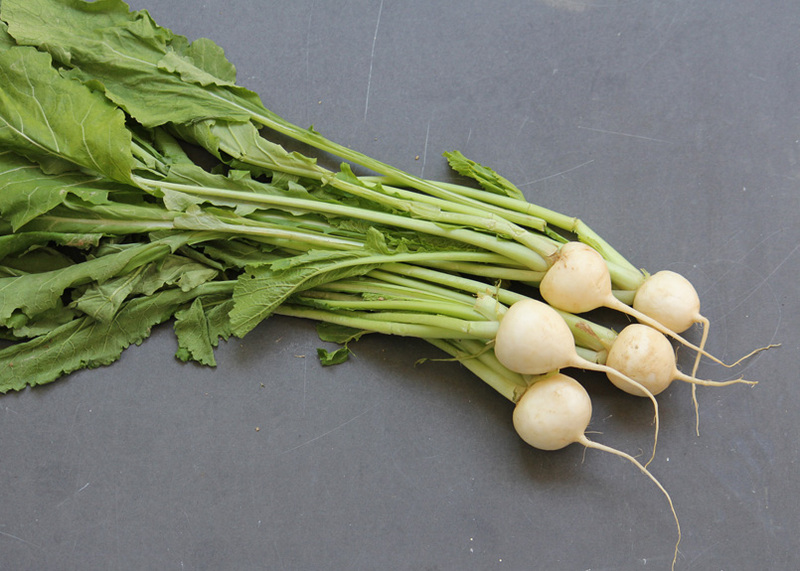 Malabar can be used when small for salads, or when larger for cooking. It wasn’t hugely popular in either role, but it was beautiful. To be fair, I don’t think we did the best by it. 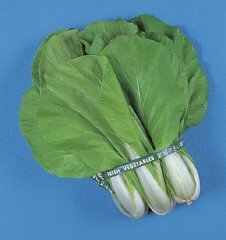 Because it was new, and because it had the word “spinach” in its name, some cooks served large leaves for salad. Alone. I don’t recommend that. 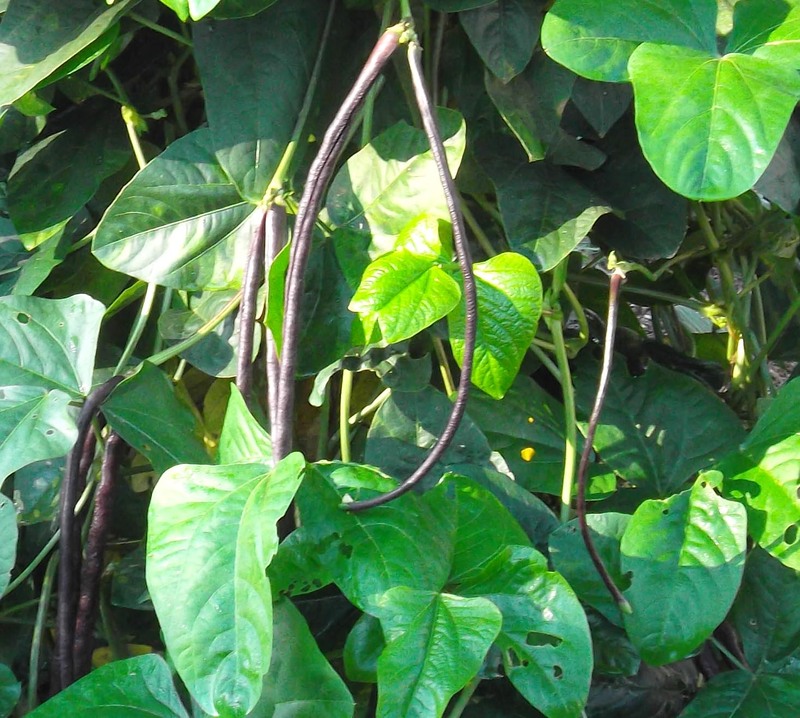 Another insurance crop for us is asparagus beans, also known as yard long beans. 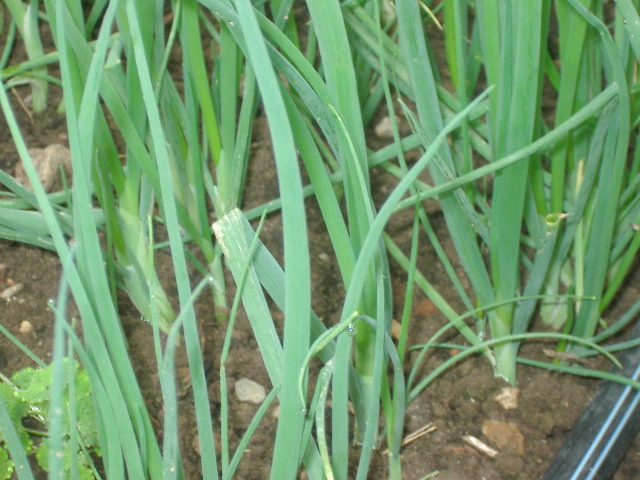 Once trellised, the plants need no attention, other than regular picking. If not picked, the pods grow puffy and useless, so this is not a crop to ignore for too long. Asparagus beans are related to cowpeas, and are more resistant to Mexican bean beetles than regular green beans are. They do need trellising, but once you’ve done that, the same plants will feed you all season. Very little seems to trouble them. 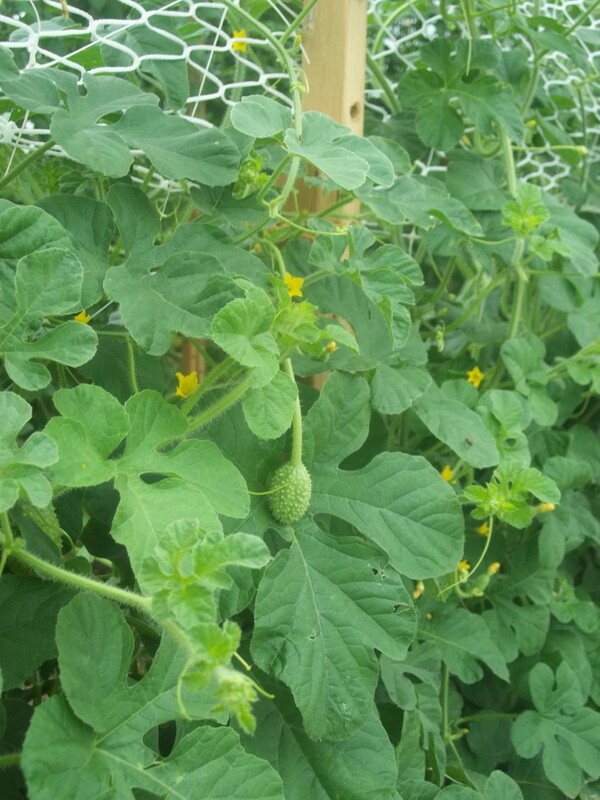 West Indian gherkins on a trellis. While we’re on the topic of crops that do need trellising, but can then produce all season, I’ll add in the West Indian gherkins. I found I did need to tuck these plants into the netting, so they weren’t work free. 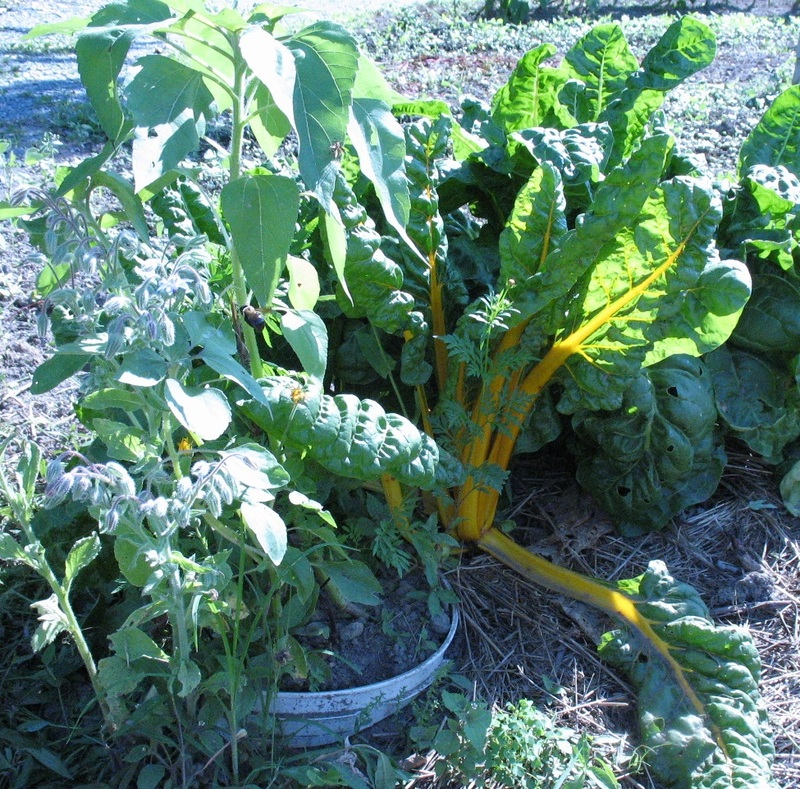 But the plants were disease-free and very productive. If you have trouble with regular pickling cucumbers, you might sow some of these as well, to be sure of being able to have something to pickle. 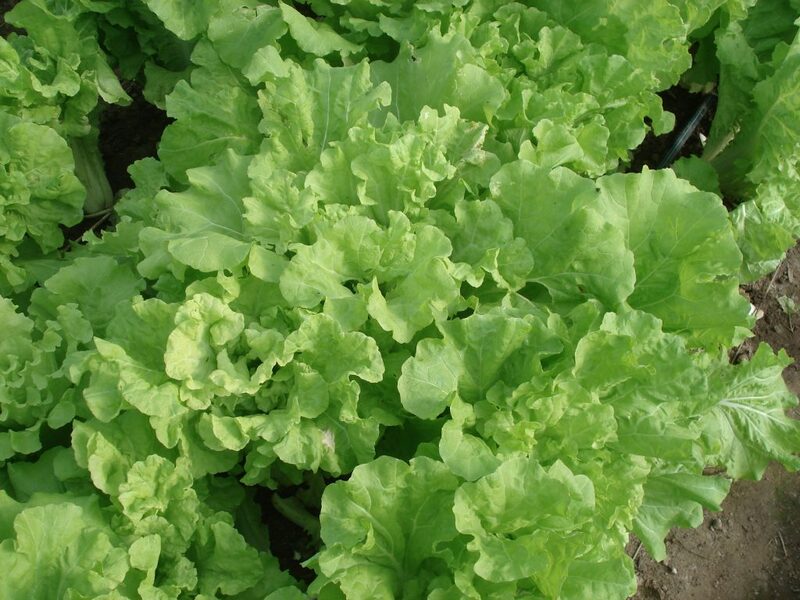 Another insurance crop is Tokyo bekana, or its cousin Maruba Santoh in late summer as a substitute for lettuce. 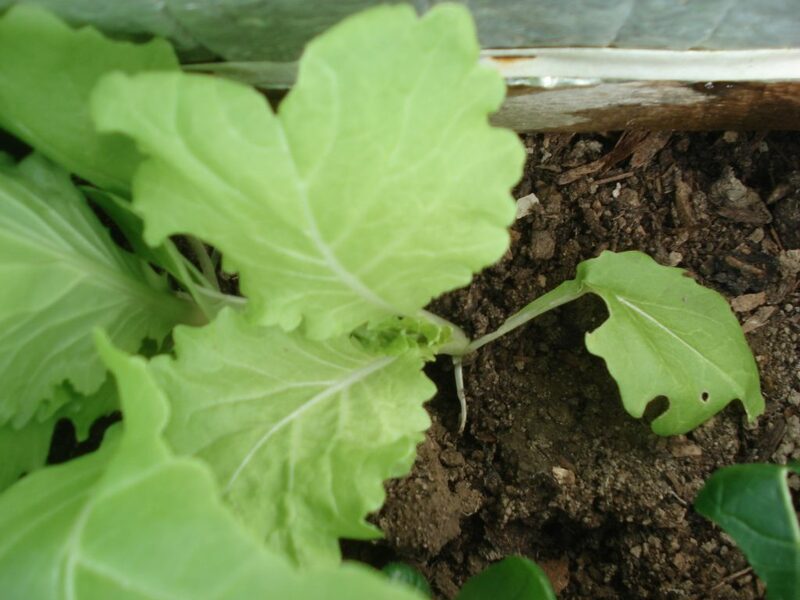 It can be hard to germinate lettuce in hot weather, but these tender brassicas germinate under hot conditions and produce fast-growing very tender leaves with crunchy stems. Some people don’t know they’re not eating lettuce! winter. 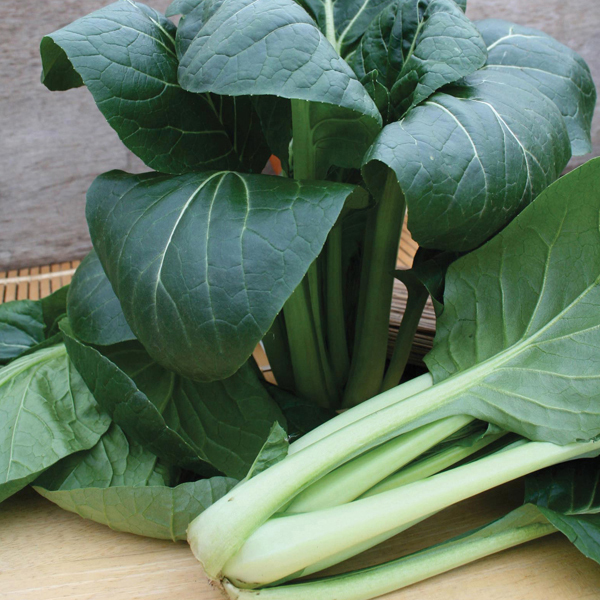 It’s fast-growing, productive, disease-resistant, easy to cook and delicious to eat. 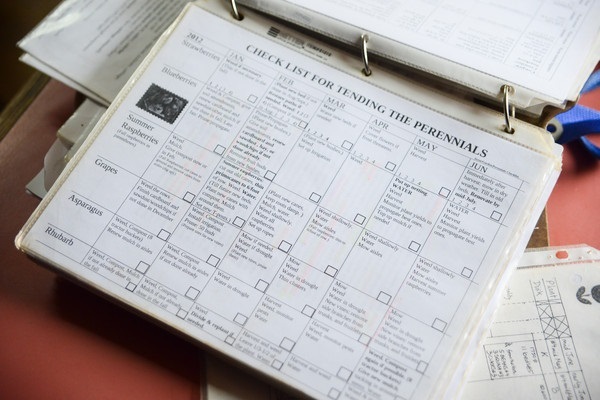 In spring it needs an early start in our climate, so that it has time to be productive before it bolts. In fall it’s cold-hardy down to 12F. 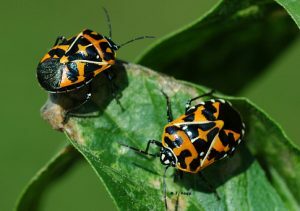 This fall, though, we found its Achilles Heel – the senposai became an unplanned trap crop for Harlequin bugs! We did spend time every day for a while squashing the bugs on the senposai leaves, and we made a difference in the number of bugs. But we lost the senposai. Well, I hope this has given you some thoughts about ordering seeds of some insurance crops for next year, when you plan your seed order. 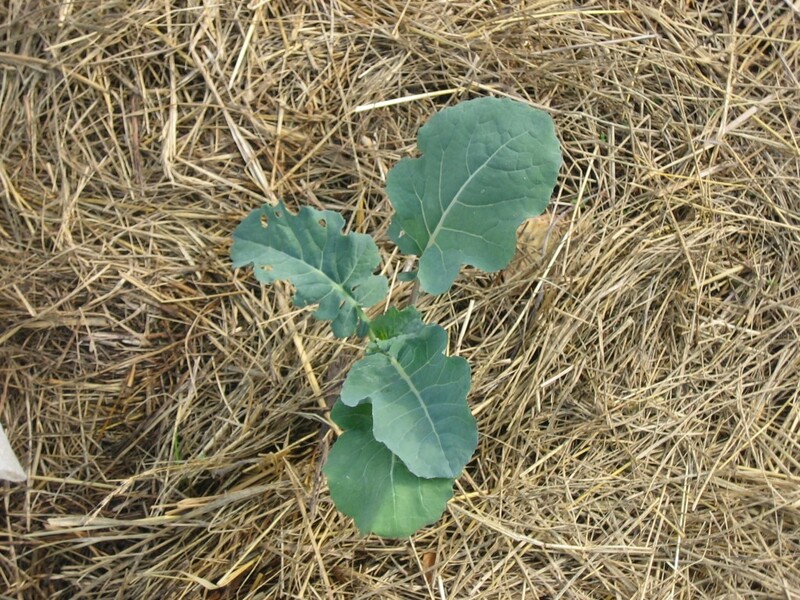 Spring broccoli plant one week after transplanting. 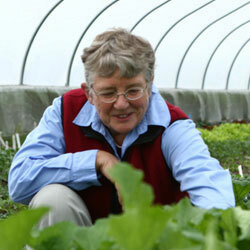 We have at last finished planting out our broccoli – over two weeks late. The delays were due to wet soil preventing cultivation. 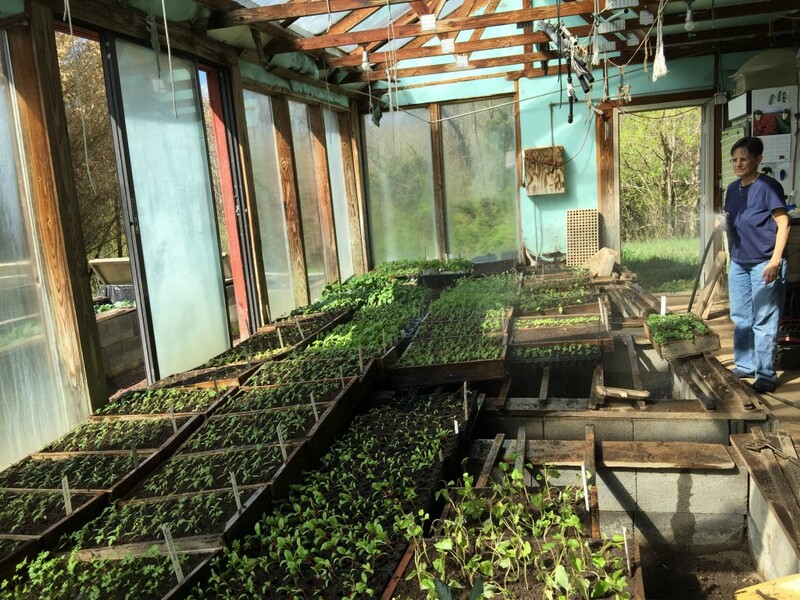 Happily the plants were thriving in their 4″ deep wood flats. But it was tough to get them to thrive when transplanted that big. The weather was hot on most of those days, so we had to water a lot, even thought he soil was still saturated from the heavy rains. 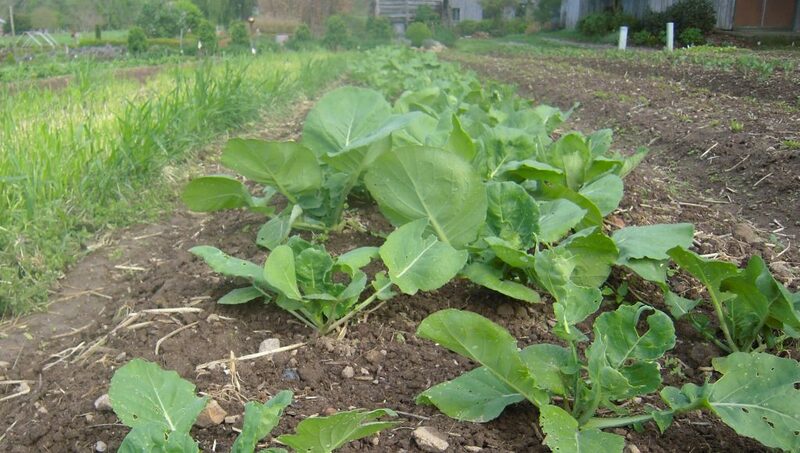 Here you can see how we mulch our spring broccoli and cabbage: we make temporary raised beds, 4′ wide with one foot paths. then we unroll big round bales of spoiled hay over the beds and the paths too. They are just the right width for the bales. After that we make two rows of “nests” in each bed, using a measuring stick to get the right spacing. We use our hands to tease the hay apart down to soil level. 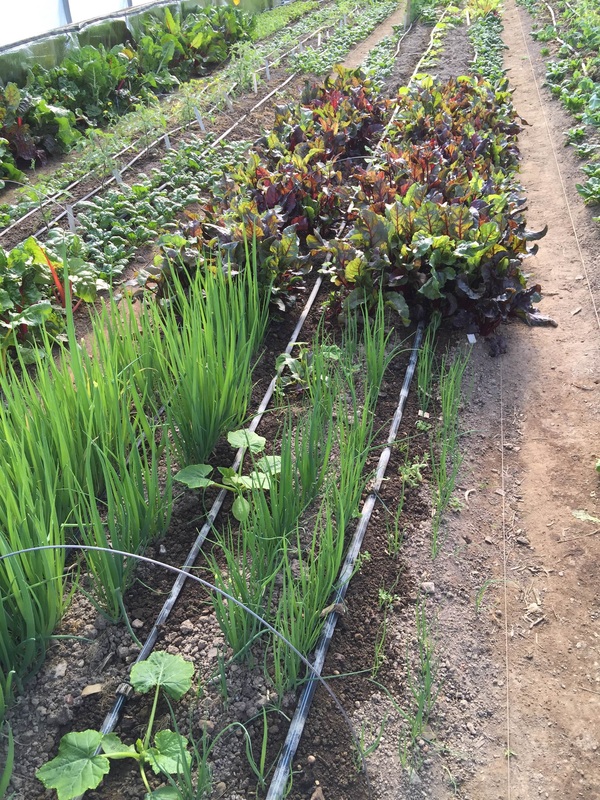 Then we transplant, water in and close the hay over the soil around the stem of the plant. 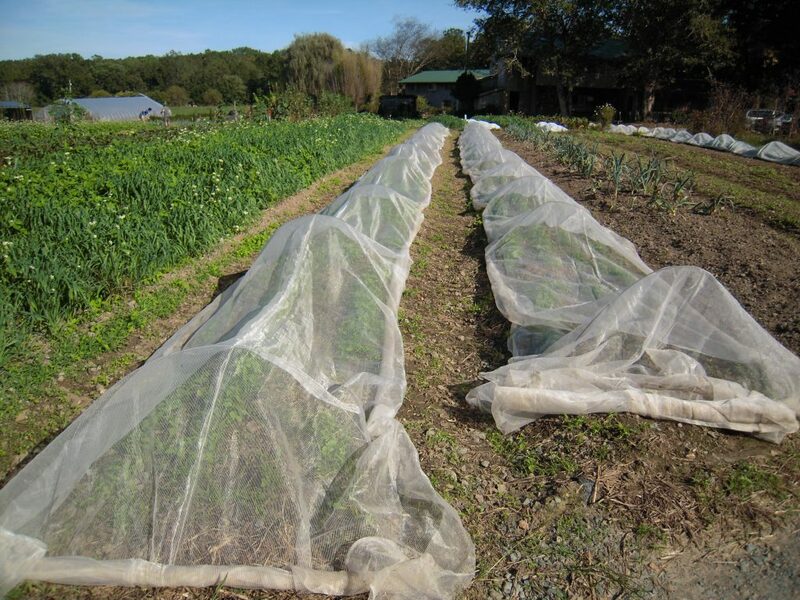 Then we cover with rowcover to protect from cold nights, bugs and stiff breezes. We use sticks to hold the rowcover down, rolling the edges under rather than over, which helps them stay in place and not tangle with hoses or feet. 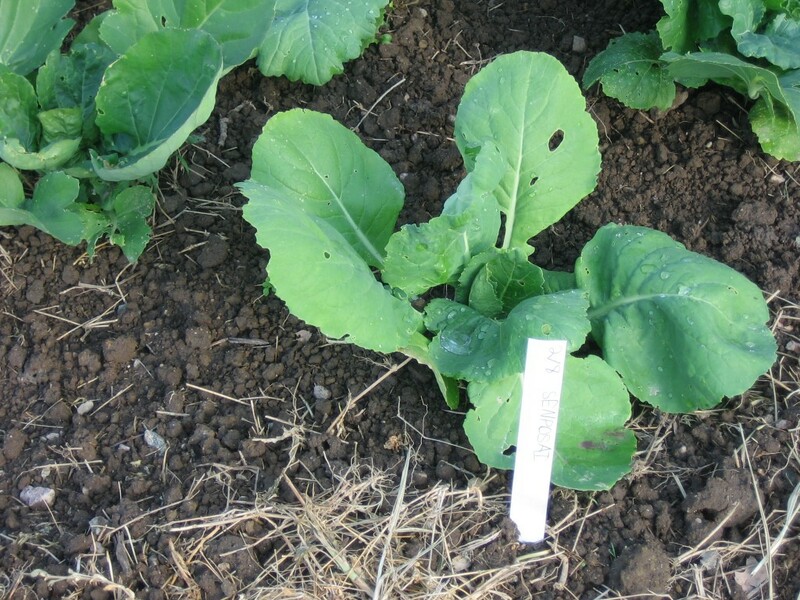 Not much to see – spring broccoli under rowcover. A week after transplanting, we’ll go through and replace any casualties with slightly younger plants. We’ll also put one plant of alyssum every 6ft down the center of each bed. 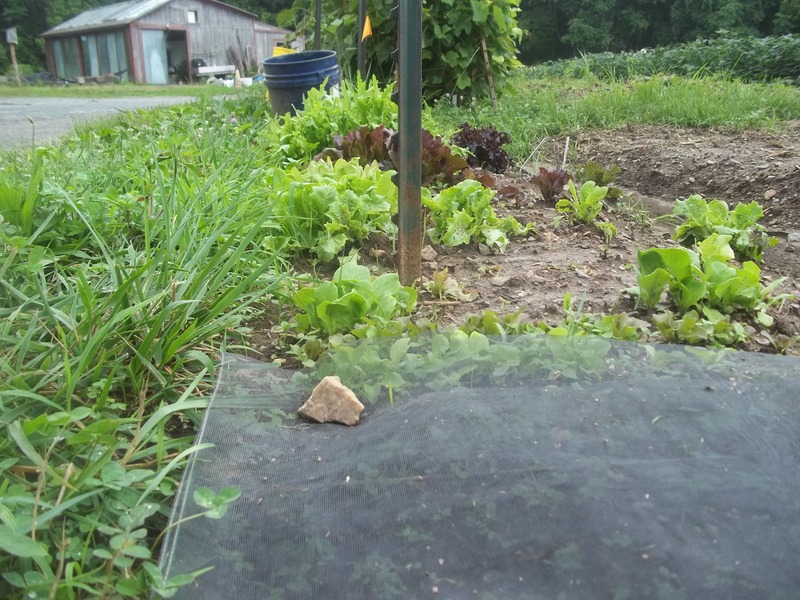 After we remove the rowcover, this little flowering plant will attract beneficial insects like Braconid wasps, aphid parasites, and syrphid flies. 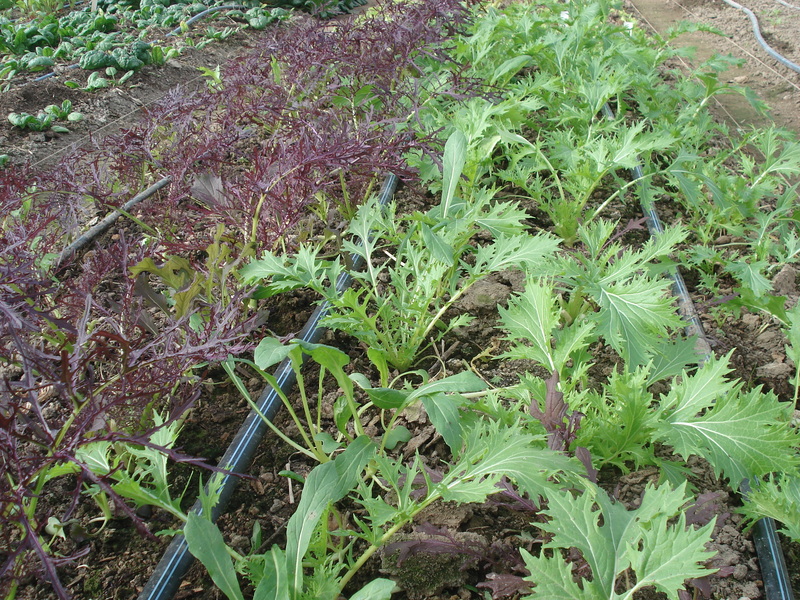 These will deal with aphids and cabbage caterpillars. The paper wasps also carry off the cabbage caterpillars, so we rarely have serious caterpillar trouble. 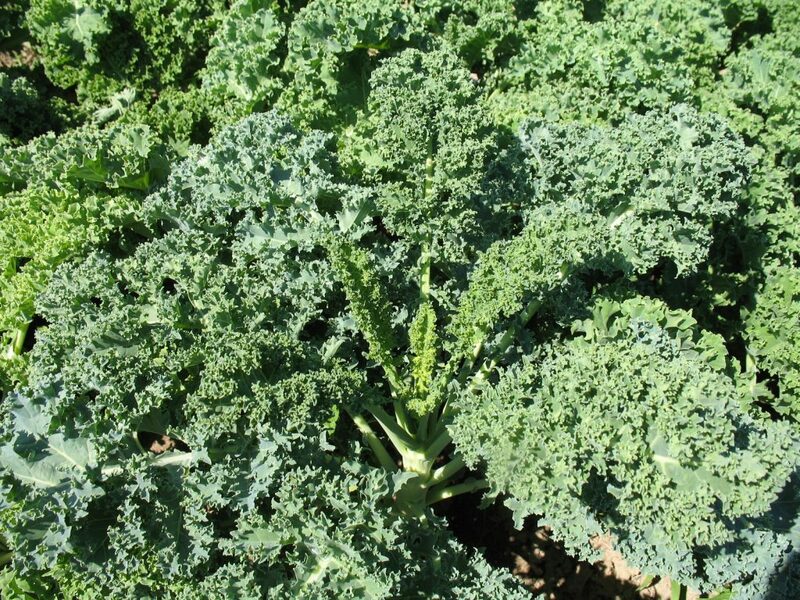 Completing the broccoli planting means we now have 3 of our 10 row-crop plots planted out. Another one will be cover crops, so we have 6 left to go. Next up will be the Roma paste tomatoes and peppers, on biodegradable plastic. I need to sort out the drip tape for that this week. 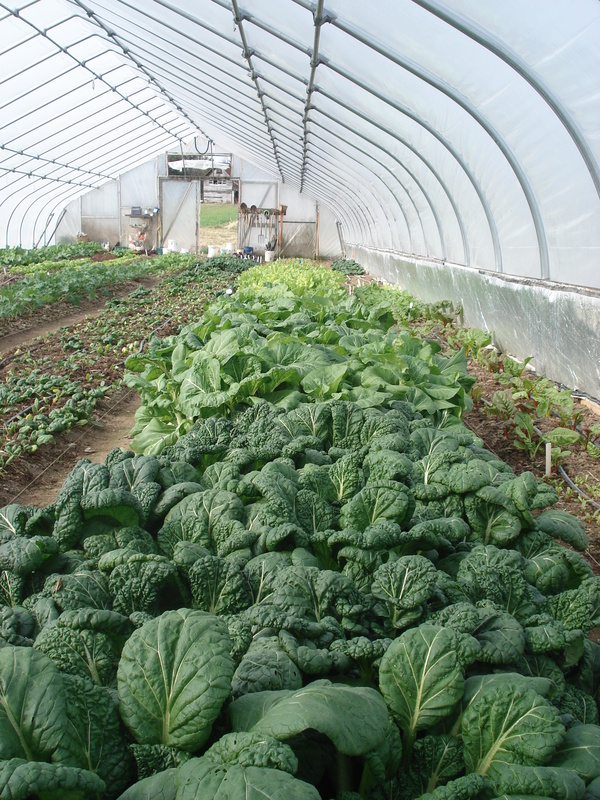 Hoophouse in April – transition to summer squash from winter scallions and Bulls Blood beet greens. In the hoophouse we are making the transition from winter and spring crops to early summer crops. 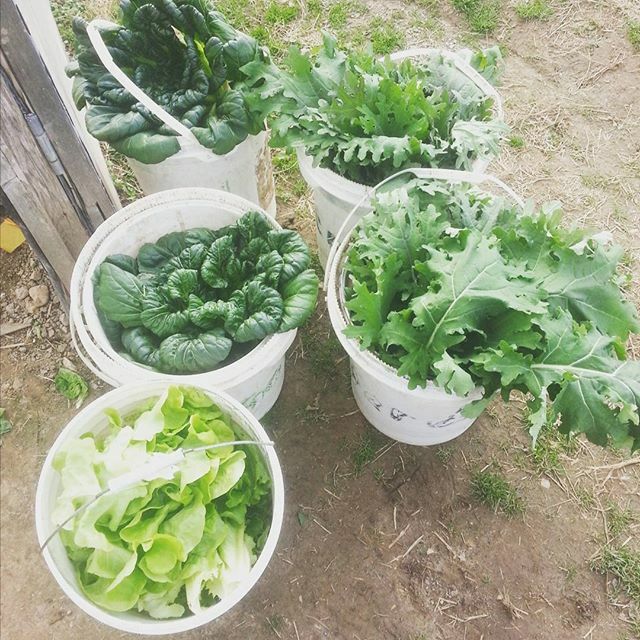 We have planted tomatoes, peppers and summer squash in the middles of the beds (gherkins to come soon), and we are hurrying up the harvesting of the winter crops which are competing for space and sunlight. 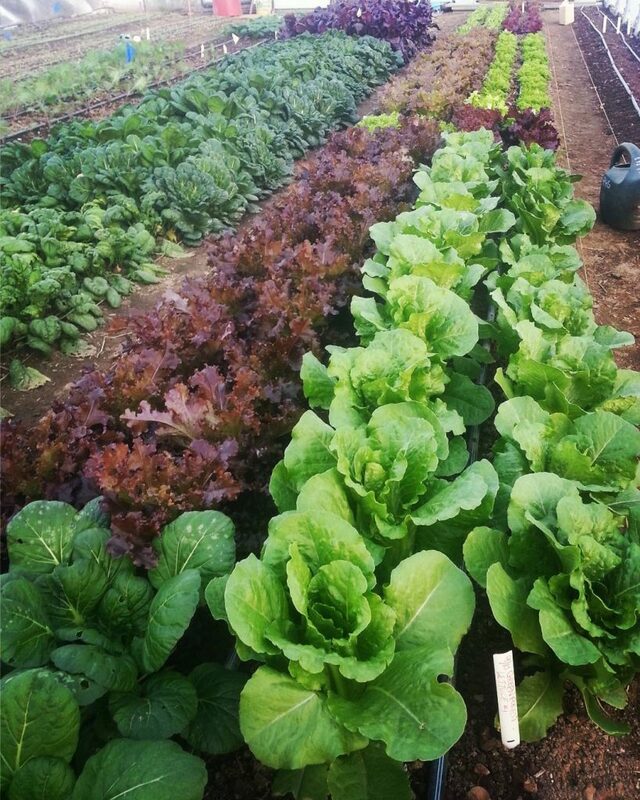 We prefer to let the winter crops continue as late as possible, for maximum harvests. 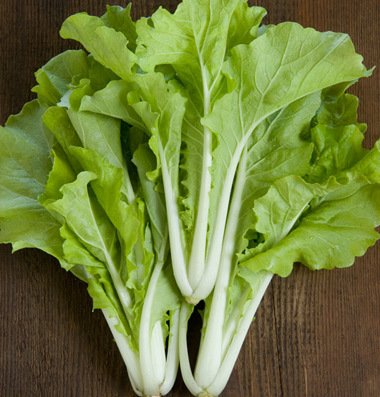 Soon we won’t need the hoophouse lettuce or greens as the outdoor senposai is ready to start harvesting and the lettuce heads are not far behind. 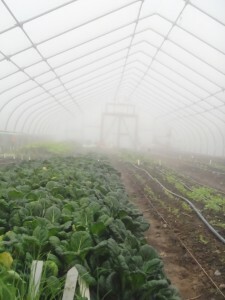 Watering seedlings in our greenhouse. 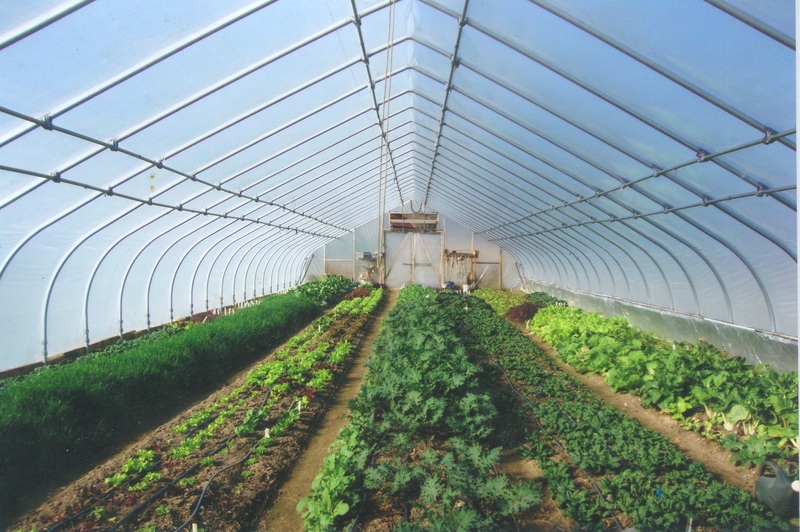 We’ve moved a lot more flats out of the greenhouse to the coldfarmes to harden off for two weeks before we plant them out in the garden. Not everything goes to the coldframes – we keep the melons and celery inside so they don’t get too chilled, and the eggplant so they don’t encounter fleabeetles. 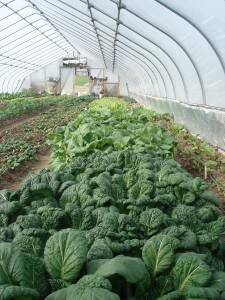 the greenhouse work is starting to taper off for the season. 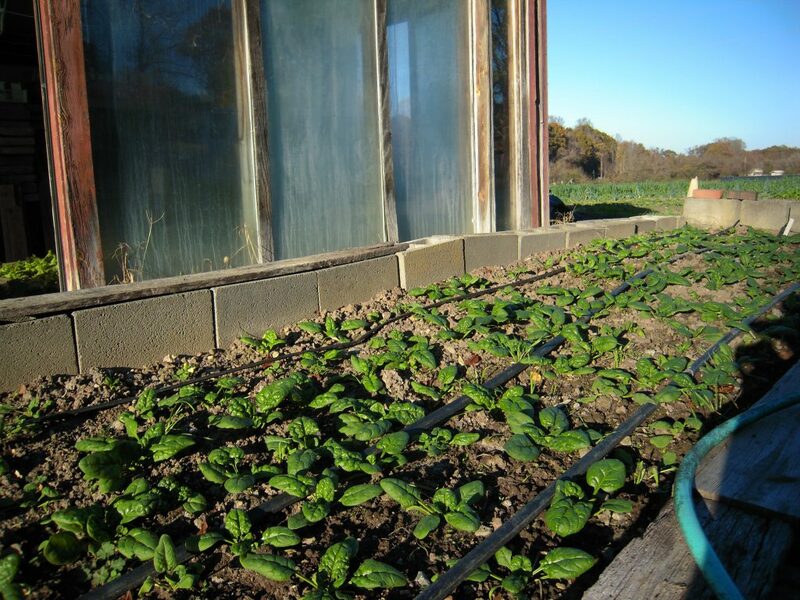 One of the biggest occupiers of space are the flats of sweet potatoes – you can see the first two in the foreground of this picture. they are limp because they have only just been set in the flats. We’ll plant them out about May 10. 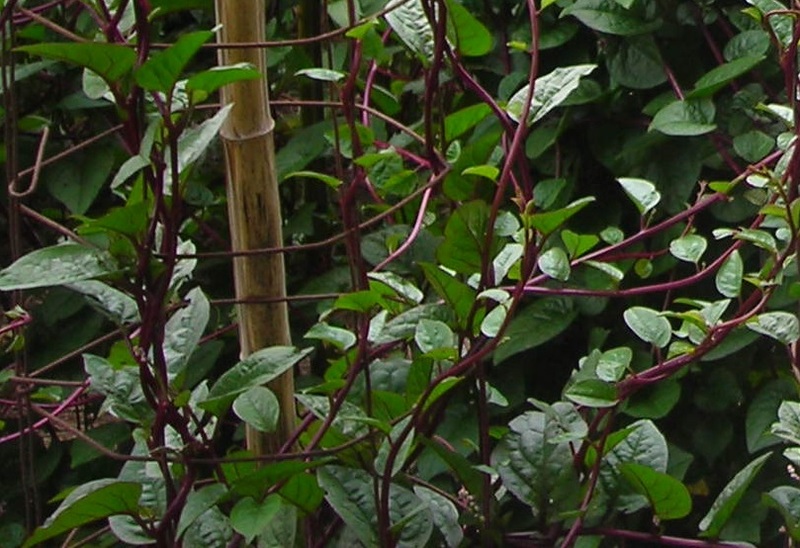 You can read more about our method of growing sweet potato slips here and here. We’re well on track to have enough by the time it’s warm enough to plant out. The weather here in central Virginia has been teasing us. It was hot, then cold again. We thought we were done with frosts, then we had some cold forecasts. 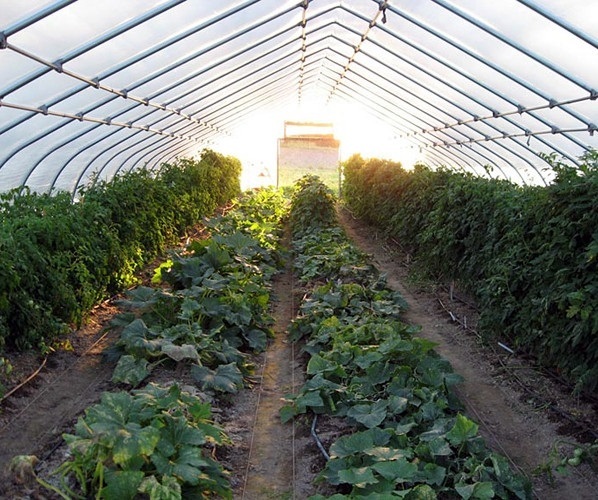 We covered the strawberries for two nights to protect the flowers, and built height-extenders on the walls of the cold frames with plastic crates, so we could put the lids on without squashing the very tall plants we had in there. Then we got nights of 36F, 36F, 34F, 33F. 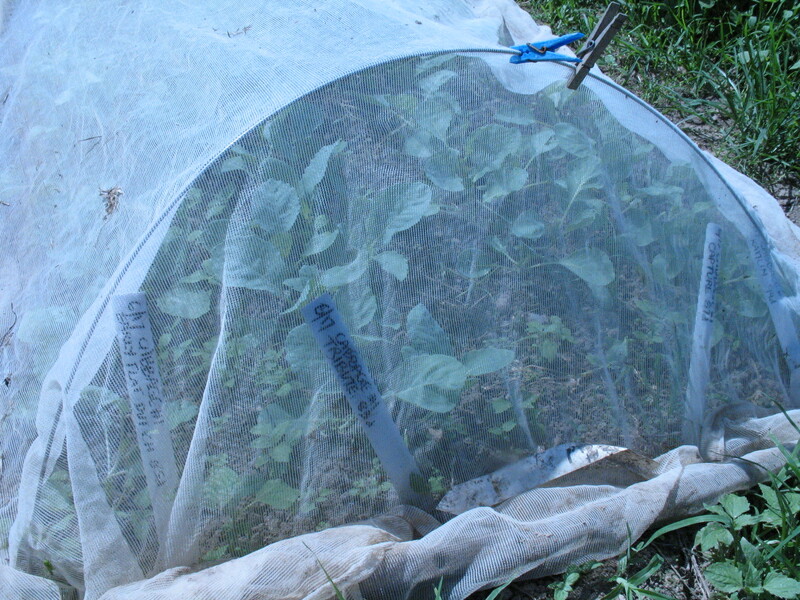 We had covered the strawberries for the 36F nights, but not the 34F or the 33F, as we followed the forecasts too gullibly! 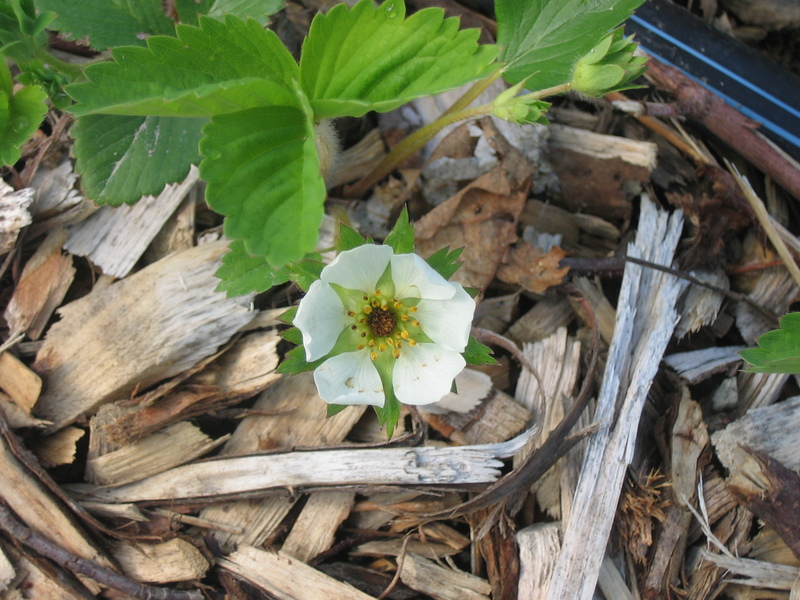 Later today I’ll go to see if the strawberry flowers have black centers – the sure sign of a frost hitting the blossoms. We always like to think we are done with frosts once we pass April 20, but the truth is our average last frost date for the past ten years is April 30, and the range has been 4/14 to 5/14, with a mean of 5/3. A frosted strawberry flower with a black center.